Android 5.0 Lollipop is coming to all kind of devices soon. It will be officially available from November 2014. Android 5.0 comes with numerous updates and features like material design, improved battery, fluid animations etc. The first devices with Android 5.0 are Nexus line of devices. 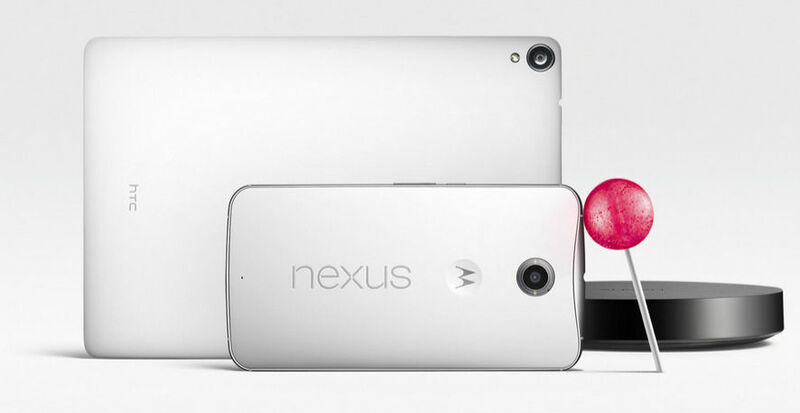 The new Nexus 6, Nexus 9 and Nexus Player are released with Android 5.0 Lollipop. The Google’s Nexus 4, 5, 7 and 10 models are also get the 5.0 update within no time after the release. Also android one series devices will be updated over the air. Motorola will go with Android 5.0 on its Moto E, G and X devices, first generation and second generation. Also Verizon’s Droid Moni, Maxx and Ultra are in the update line. HTC and OnePlus have plans to go with Android 5.0 after 90 days of the source release. They also give Android 5.0 update to their flagship phones in recent future. Sony confirmed that Xperia Z2 and Z3 will get Android 5.0 on first quarter of 2015. LG tells TechRadar that it has nothing to say on “if / when” Lollipop will reach the G3, let alone older gear. Samsung is also testing Lollipopped version of TouchWiz is in the works. It’s also reasonable to expect that relatively large brands like Acer, ASUS, Huawei and Xiaomi are on the move. But older devices of all these manufactures will stay where they are. May be some cyanogenmod developers will try Android 5.0 in wild and expecting them in few months. Sony’s entire premium Z series to get Android 5.0 update in early 2015: Xperia Z, Xperia ZL, Xperia ZR, Xperia Tablet Z, Xperia Z1, Xperia Z1S, Xperia Z Ultra, Xperia Z1 Compact, Xperia Z2, Xperia Z2 Tablet, Xperia Z3, Xperia Z3v, Xperia Z3 Compact and Xperia Z3 Tablet Compact.